Republican U.S. Senator Marco Rubio, in a move that may undercut his party’s message about the recent tax overhaul ahead of the 2018 midterm elections, told the Economist magazine there is “no evidence whatsoever” the law significantly helped American workers. “There is still a lot of thinking on the right that if big corporations are happy, they’re going to take the money they’re saving and reinvest it in American workers,” Rubio said in the interview published Thursday. The tax overhaul, which sailed through the Republican-controlled U.S. Congress in December without Democratic support, permanently cut the top corporate rate to 21 percent from 35 percent. Tax cuts for individuals, however, are temporary and expire after 2025. Republicans, including President Donald Trump, have said their tax overhaul will lead to more take-home pay for workers and have touted the bonuses some workers received from their employers as evidence the law is working. Rubio voted for the proposal even though he had lobbied party leaders for a larger child tax credit. Rubio’s staff did not deny he made the statement. “Senator Rubio pushed for a better balance in the tax law between tax cuts for big businesses and families, as he’s done for years. 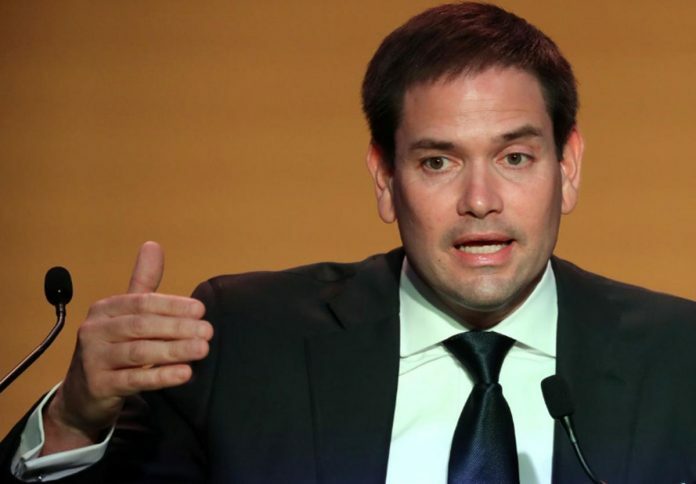 As he said when the tax law passed, cutting the corporate tax rate will make America a more competitive place to do business, but he tried to balance that with an even larger child tax credit for working Americans,” Rubio spokeswoman Olivia Perez-Cubas said in an email. The tax law is Republicans’ only significant legislative achievement since Trump took office as they head into the midterms, when all 435 seats in the U.S. House of Representatives and about a third of the 100-member Senate’s seats are being contested. The nonpartisan Congressional Budget Office said earlier this month that the tax bill, as written, is projected to add $1.9 trillion to the national debt over the next decade.